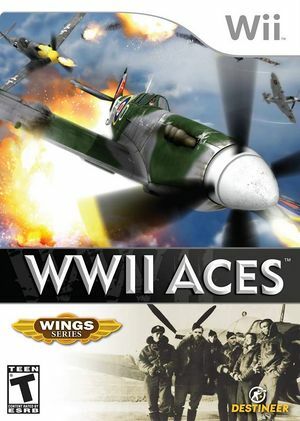 Roll, loop, dodge and shoot like an Ace with simple motion controls in WWII Aces for the Wii system. Fly alone or with a friend via split-screen co-op as you join the ranks of the Royal Air Force, Soviet Air Force, or Luftwaffe and pilot 12 authentic airplanes through multiple campaigns based on real events or, take on your friend in thrilling competitive multiplayer! The graph below charts the compatibility with WWII Aces since Dolphin's 2.0 release, listing revisions only where a compatibility change occurred. This page was last edited on 13 January 2018, at 16:07.